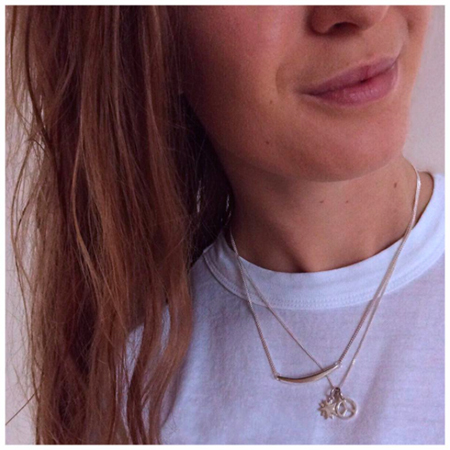 We love hearing about your jewellery stories and seeing your pretty jewellery pictures. Our beautifully sculptural Forever Strong Curve Necklace is made from smoothed and polished Sterling Silver. Simple and classic. Goes with everything. You are stronger than you think.